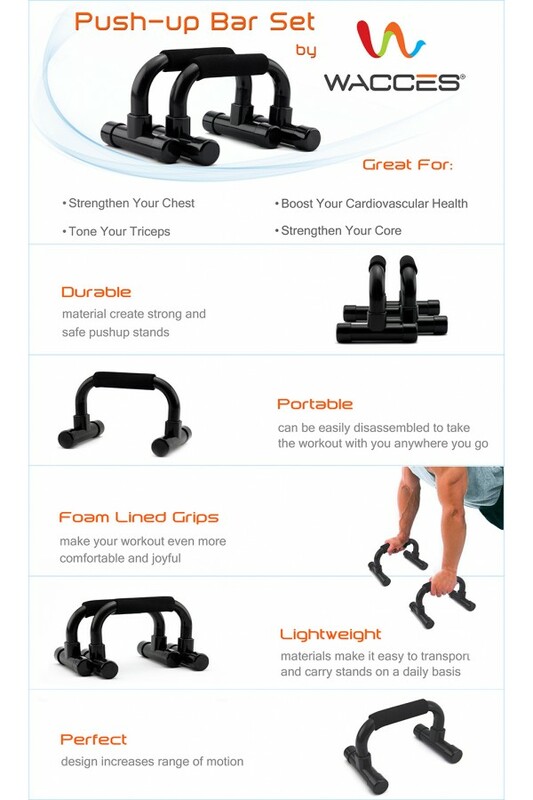 Start sculpting your upper body without strain on your hands, wrists and forearms with the Wacces Push-Up Bars. 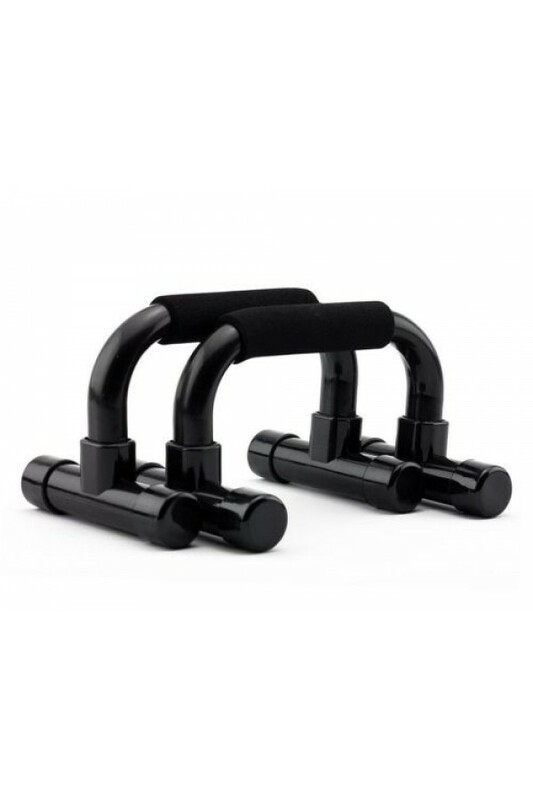 Soft foam grip handles ensures comfort during prolonged use and keeps you focused on each push-up. 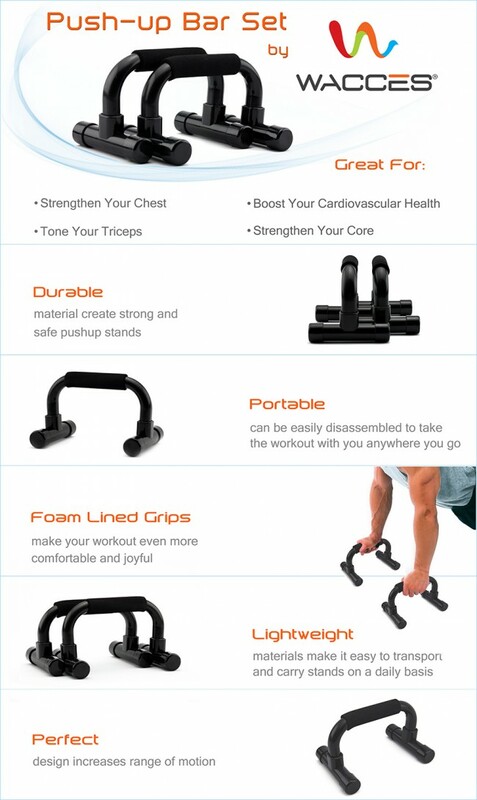 These bars are durable yet lightweight and feature better range of motion. 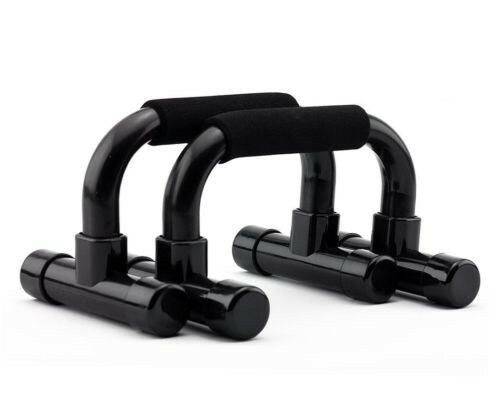 Get more out of your push-ups and increase your power with the Wacces Push-Up Bars, perfect training tool for building and toning muscle in chest, triceps and shoulders.